Originally published in Plume Poetry. Saturday morning, June 4, 2016, Schumaker Pond, Salisbury, Maryland. Our conversation began the last morning of Jean’s four-day visit to our house in Maryland. Because we spent most of our time in the company of water, canoeing or walking forest paths along the river, our clear, cool, blue-skied days had the dreamy quality of reverie, and our conversation ebbed and flowed with memories. We sat on the sun porch overlooking the pond, all windows and doors open to bird song and sweet breezes, and recalled our dinner conversation of the night before, in which Jean, my husband, another guest and I were relating childhood experiences which seemed to forge a primal connection to what eventually would be our life’s work, a connection which led us down a path beyond childhood and sustained us through more challenging adult years. Jean and I marveled that although the circumstance and context of each of our childhoods varied, they shared the lucky happenstance of providing us with guides along the way who validated our efforts, and encouraged us to go on. It was in the spirit of gratitude toward these good, encouraging souls, so many of them now gone, that we began our lovely, three-hour conversation. Mitchell: What experiences in your childhood got you started on your path to poetry? Valentine: Mother Goose nursery rhymes! Our family had babysitters, nurses, so our only close time with our mother was when she read to us—she loved reading to us—my sister and me, close in age, our brother came five years younger. It was a peaceful time, very comforting, sometimes by the fire. Mitchell: Ah, that constellation of pleasant sensory experiences makes an indelible impression at an early age … just ask Proust! Valentine: Yes. Getting the sound of poetry in your body at that early age, right in your heart from the beginning in a loving way. Mitchell: Poetry is for you a deep connection to the family, to your mother? Valentine: Yes, it was. In later years my sister was interested in, read poetry. She was older and I worshipped her and wanted so much to be in her world. I remember looking up at all the books of poetry lined up on her shelf and I said “I love Yeets!” meaning Yeats … and she corrected me in an imperious way—not really imperious, but loving, with “It’s Yeats!” She was a wonderful big sister to me. Mitchell: Do you remember the very first poem you wrote? Valentine: Yes I do: I think I am a mole/sniffing and sniffing/in his hole. Mitchell: Yes! Do you know how old you were then? Valentine: I don’t; I hope I was very young! I don’t think I was in my thirties…I think I was maybe ten or eight or something like that. I mean I really wanted to do that. I really wanted it. Mitchell: Was it always poetry? Valentine: I think it was art, or the idea of it. I liked piano too, but I never thought I had a calling for it—I never thought I had a calling for poetry either. I had a wonderful piano teacher who just loved music. Yes, music was so important—it was so helpful to hear it—as you know sound is so important in poetry. Mitchell: Did your parents support your interest in art? Valentine: Well, I think time and history and money may have supported our interest in it. We got to go to schools where it could be encouraged by certain teachers. I think we had a kind of leisure for higher things that they hadn’t had when they were growing up. My mother and father were of another generation, they were hard workers—they weren’t poor at all, they were well off, but they were hard workers—and didn’t have the leisure for art. We were given the privilege of thinking of art as something we might do. A part of our minds and souls could be freed up in a way that theirs might not have been able to be inwardly or outwardly. I’m very grateful for that. Mitchell: Did teachers encourage your interest in poetry, in writing? Valentine: Yes. By 5th or 6th grade I had teachers who really loved literature, and encouraged me to write. Mitchell: Did you start out writing poetry? Mitchell: What a great story! You went to boarding school, right? Valentine: Yes, Milton Academy, up in Milton, Mass. My father and his brother had gone there so it was in the family, sort of. Mitchell: Did you like it? Valentine: I loved it. Loved getting away from home, and I love the school! You know, at fifteen, it was a very stable, safe, boring place; it was comforting and I had a couple of wonderful teachers who encouraged my work, you know, my writing. Miss Wood, who came from the war in London was still shell shocked when she came to us. She was wonderful. When I say shell shocked, I mean she was nervous, a sensitive person; she had been through the blitz in London. She was the first person I’d known outside of my father who had been in the war. She was very brilliant, a Latin and Greek scholar, and the let me translate Latin into English. Latin poetry. She encouraged me. You know, Nance when people talk about teaching writing, I think the one best thing that you can give a student, like giving them a candle, is encouragement. Valentine: It’s true, though. I think, looking back on my life, I mean all these things I’ve been talking to you about, were so encouraging to my writing. Mitchell: All those people holding up candles along the way, lighting your path. Valentine: Early on in my life I got encouragement, and later on a lot towards anywhere I wanted to go. I think encouragement is more precious than anything we can give as teachers. Mitchell: Was that a big change? Valentine: Yes, huge. Radcliffe was another world. I’d never been in the company of so many bright people in my life, faculty, and students. Radcliffe itself was maybe a 1,000 or so young women and Harvard was 10,000 young men. The whole world of that area in Cambridge, it was awesome to me. I was very glad to be there, but also very shy. It was the biggest place I’d ever been in, the biggest world I’d ever been in by far. I was extremely shy; I had a couple of friends I’d gone to school with and I’d see them occasionally, but I had no real close friends there. It was a lonely time in some ways but on the other hand it may have been all right because that is life. I was fascinated with everything, all the courses I took— astronomy, Spanish … a whole new world had opened up for me. I was finding a world of the mind that I didn’t know existed except from reading the classics. Mitchell: Did you meet Adrienne Rich when you were at Radcliffe? Valentine: No, I didn’t meet her until much later. She graduated the year before I went to Radcliffe; She was five years older than me. This is a nice story: I was walking down the sidewalk in Cambridge one day in my freshman year and this older gentleman was walking along and fell into conversation with me—in Cambridge they do that—and asked me if I was going to college and what I was interested in, and I said ‘Poetry” He asked “in reading or in writing it?’ And I said both. Then he said, “Well, we had a very interesting young poet here, who graduated a year ago. I wonder if you’ve read her, Adrienne Rich.” I’d never heard her name before! “Oh yes,” he said, “we’re very proud of her around here.” Of course, I went right to the library and got her book out and started reading it. Her first book, A CHANGE OF WORLD. Mitchell: She was published before she graduated from Radcliffe? Valentine: Yes, she got the Yale Series of Younger Poets Prize in 1950 while she was at Radcliffe, and it was given to her by W.H. Auden. And he praised her—I don’t have the exact words here, but he praised her “for being so well behaved.” Later, after I got to know Adrienne, we we thought that was so wonderful! Well behaved! Oh, yeah, Mr. Auden! Mitchell: How interesting that Adrienne was mentoring you from afar years before she became a steady mentor and support, and a close friend. I’ll never forget how it felt to be included, to be in the company of “our people who are interested in poetry!” She understood, and made a path for me. Again, such encouragement! Mitchell: Were there other professors or students at Radcliff that you felt were guides? Valentine: Well, I had heard about this professor, Bill Alfred, who had a reputation for being a great poet and teacher, and I took his writing class in my sophomore or junior year. He was a huge turning point for me. Bill was very central at Harvard, brilliant, admired—he had translated AGAMEMNON! He was a grad student, studying under Archibald MacLeish, and later became a very respected playwright. His greatest gift to me was that he gave me encouragement that went deeper than any I’d had up until that point. His encouragement was crucial. I’d go to see him during office hours and show him my writing and he’d encourage me, encouraged me tremendously. Mitchell: What writers did he turn you to? Valentine: Well, we didn’t always agree! He asked what I was reading, and when I said “Virginia Wolff,” he said, “She’s so sad.” Well, I didn’t think she was sad, I just thought she was telling the truth! But in terms of poetry, we read Anglo Saxon poetry in his class, and well, Chaucer of course, but most importantly he told me about Bishop, Elizabeth Bishop, about NORTH and SOUTH. He said something like “You know Bishop has a new book” and I said to myself “Who is Bishop?” But I went right out to the bookstore and bought it. There my life changed. Bishop was more important to me at that time because she was a woman—oh, I’d read Elizabeth Barrett Browning, but she didn’t speak to me—and Bishop was a living poet, was older, still working. I didn’t know you could make a real career out of writing poetry, that it could be a life! Bishop was living the life and that was so important to me. Mitchell: Another light! Did you meet other writers around your age while you were at Radcliffe? Valentine: Well, I met James Chase, who was a writer, and I later married him. I met Barry Cooke who was an artist and Andre Gregory who was an actor. At the time writers, artists were more on the fringe of things at Harvard. Artists were there, but were rare. Harvard attracted more scholarly students. Mitchell: What did you do after you graduated from Radcliffe? Valentine: My father gave me this incredible gift of a trip to Europe. I started out with some other friends and we had a wonderful time and went all over the place, France, Spain, in a tiny car, called a Citroen “Duex Chevaux”. They went back in September and I stayed—on the boat over I had met a man I fell in love with who lived in London, so I thought I’d go there and stay for a while. Mitchell: How long were you there? Valentine: From September to January. It was an important time for me. I had a job and a bed-sit, and for the first time was independent. Mitchell: An independent young woman, in love, far from home and finding her way in the world—what a time. Valentine: So, yes. I was certainly getting interested in men, but also I was getting interested in what to do with all this freedom I suddenly had. Mitchell: After London, did you go back to Cambridge? Valentine: No, I moved to New York, and got a job right away so I could support myself. Later I met James Chase again and so forth. We were married quite a long time. I immediately got pregnant, and had babies you know, and I was pretty much alone with poetry for that whole time. I didn’t even know poets, and hadn’t met Adrienne at that time, but I was writing away, writing away. And James was writing away too. He was a fiction writer. But I was lonely. I had working-at-home jobs like typing manuscripts, editing theses, while the children took naps. I didn’t make much, it was sketchy, but it was something and made me feel like I could hold my head up about bringing something into the household. That went on and I was writing away and I would send things out and nobody took anything. In fact, when Dudley Fitts gave me the Yale Prize, he wrote to me “I’ve looked for your poems in magazines and I don’t find them anywhere. Are you a recluse?” He had wonderful sense of humor. I wrote back “I haven’t sent much out, but when I did, it came back.” So that’s how things were for those years. I married James at twenty-three or twenty-four, and at thirty I won the prize. Funny, it was only eight years from college until I won the prize, but it seemed like eighty! Mitchell: Those years, alone with the kids, writing in a kind of vacuum … it must have seemed like you were in the desert? Valentine: Yes, it was the poetry desert, for sure. I didn’t know another poet. Mitchell: So, tell me about when you heard you’d won the Yale Prize for DREAM BARKER. Mitchell: What a moment! Did everything in your life change from that point on? Valentine: Everything changed. It shifted the earth. I got a job—Jane Cooper read the book and called and asked me to teach at Sarah Lawrence. Adrienne read the book and called and wanted to be friends. She was living in Cambridge then but later she moved to New York, just three blocks away. Mitchell: You and Adrienne became life long friends in life and in poetry! Did she become an important reader of your work from then on? Valentine: Oh yeah. She would be still if she was still alive. I mean, she would generously be. She was one of the most generous people I’ve ever known with her time and her heart. Yeah, we became very close friends, thank God. That was the first close friendship, except for Bill Alfred, with a writer, the first woman writer I’d ever met, actually. Valentine: And what it was like to be a woman with children and to write poetry seriously. She was really going into that whole subject as a feminist, you know. I was in the sidelines watching—oh, I was living it—but I was watching her thought like everyone else when she was writing those books about what it was to be a woman in those poems. She was much more intellectual. Confident. She was a real presence. Mitchell: You met Robert Lowell through Adrienne, right? Valentine: I think so. He was keeping track of younger poets at the time, and wanted to meet me, or maybe Adrienne wanted me to meet him and his wife, Elizabeth Hardwick. Mitchell: The poet Eleanor Ross Taylor was also very important in your life, and to your poetry. You two enjoyed a long friendship and fairly recently you edited THE LIGHTHOUSE KEEPER, a collection of essays on her poetry. How did you come to know her? Valentine: You know when people ask, “What are you going for?” Well, that’s what I’m going for in poetry; I want to take off the diver’s mask. Mitchell: Do you see a big difference between your earliest poems and later work and what you’re writing now? Valentine: I think I started out more formal and have gotten less and less formal as I’ve gone along in the sense of the old forms; that definitely is true. I’m less constrained, I hope. I haven’t ever been very experimental in formal terms at all. I think, I hope I’ve become less “outer” directed, as they say than I was—I think it would be natural for a young poet to be more concerned about what people think than an older poet, I think that’s accurate. I still care very much what my dearest people think, like I’d care very much what you think. But I think in the old days it was very important for me to find somebody to publish my work. That has become easier, frankly. It’s not that I’m maybe less concerned, but I get things published easily. Valentine: I think I was following form when I started writing, as I was learning. As I got more confident, I got more interested in sound, in how to put it on the page so someone else could hear it in the same way I heard it. I think it comes from the piano lessons in my childhood, honestly, from musical notations. What I’m trying to do now when I’m writing is to put it down as I hear it, more like natural speech, more spoken. Valentine: I’m trying to translate emotions into words. Mitchell: Ah! And this confidence grew from encouragement, yes? Valentine: Yes. I got encouragement from being more of myself in poems, being more open, vulnerable. Again, and again I’ve had so much encouragement to be myself to stay open. my guide to the underworld. It was the little blue restaurant. and sat down right next to Max. “I come from a small mountain village. if it has lost its words? But it never had its words. That I am beginning to know him. Not make any sudden movements. The “thou” is holding up lit snow. slow over the Achill roads. “the narrow quarter,” and you felt safe. Dust made out of frost. We said nothing for a while. beech branches to the ground. like a Native American headband, only inside. Jean Valentine was born in Chicago, Illinois. She received a BA from Radcliffe College in 1956 and has lived most of her life in New York City. In 1964, Valentine’s first book Dream Barker (Yale University Press, 1965) was chosen for the Yale Series of Younger Poets. 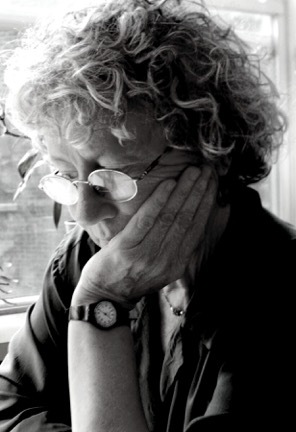 She is the author of several poetry collections, including Shirt in Heaven (Copper Canyon Press, 2015); Door in the Mountain: New and Collected Poems (Wesleyan University Press, 2004), which won the National Book Award; and Home Deep Blue: New and Selected Poems (Alice James Books, 1989). She is also the editor of The Lighthouse Keeper: Essays on the Poetry of Eleanor Ross Taylor (Seneca Review, 2001). 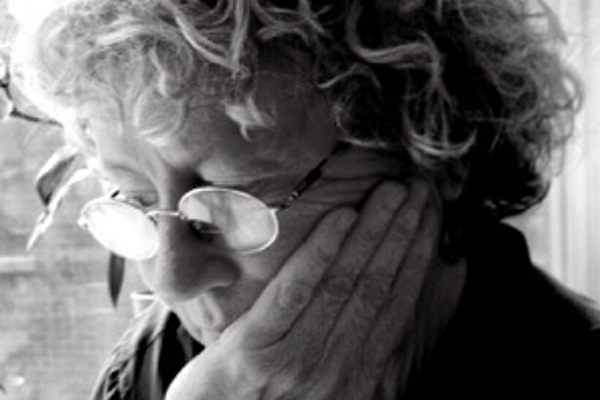 Nancy Mitchell, a Pushcart Prize 2012 recipient, is the author of two volumes of poetry, The Near Surround (Four Way Books, 2002) and Grief Hut, (Cervena Barva Press, 2009) and her poems have appeared in Agni, Poetry Daily, Salt Hill Journal, and are anthologized in Last Call by Sarabande Books and Make it Sound True, a teaching exercise using sound as a poetic device is included in The Working Poet (Autumn House Press, 2009). She teaches at Salisbury University in Maryland.